Q. How can I contact the cast or Earl Hamner? A. At this time there is no way to communicate with the cast or Earl through the Museum or this Web site. Q. Did the Waltons ever publish a musical collection or any kind of record or CD? A. There was one album called, "The Waltons' Christmas Album" published in 1974. It is not available in music stores. This album is a highly collectible item and is very hard to find. You might try antique shops or used record stores. Try posting a request on the Forum to purchase the album or ask for a tape copy. Good luck. A new Walton's Christmas CD was produced by Jon Walmsley in 1999 and may still be available through the Museum at 434-831-2000 or on their web site at www.waltonmuseum.org. Q. Do you know the release dates for the series on DVD? A. Sorry I do not have that information. Q. Can you give me any information on Reunion activities? A. The Reunions are separately sponsored by the Musium and the International Fan Club. You should contact them for details. Information is usually posted on the Forum whose link is on the home page of this web site. Q. What can you tell me about the Walton's cars? A. Walton fans have provided the following information: John-Boy drove a 1928/29 Model A Ford Coupe; Jim Bob a 1928/29 Ford Model A Roadster; Mary Ellen and Curt drove a 1932 Ford Model B Sedan Delivery; Cindy drove a 1941 red convertible; and John's Woody was a 1941 Plymouth. John's lumber truck was a 1928/29 Ford Model AA. Q. What can you tell me about the Walton Radio? A. The Walton radio as it is called today was a 1937 Zenith Tombstone Model 12-S-232. This is the 12 tube model, it also came with 7 and 9 tubes. All the cabinets were the same and some came with batteries. It's difficult to find one of these radios with everything original such as knobs, grill cloth, speaker and finish. One with original parts in playing condition will sell for around $3200.00 or more. It is common for one of these radios to be put together from more than one radio with new grill cloth, new knobs and even speakers that did not come with this model radio. Radios put together like this sell for $1800.00 to $2200.00. The original radio was on loan to the Museum from the Smithsonian Institute. Q. Where was the series filmed and was it a real house? A. The series was filmed entirely in California on the grounds of Warner Brothers, the Angeles National Forest, and near the Kern River. The only exceptions were brief segments filmed in Schuyler, VA for "A Decade of The Waltons." The house used was a Hollywood set based loosely on the actual Hamner home. Q. Can I buy videos or DVDs of the series? A. The Store page, Click here, offers many videos, CD's, books and audio cassettes. A few videos are available from the Museum. Call them at 434-831-2000 or visit their web site at www.waltonmuseum.org . Q. Is there a place to buy Walton's related items? A. Yes, the Store Page on this site carries numerous items such as T shirts, mouse pads, totes and other specialty items. Q. I have heard there is a new special being planned. What can you tell me? A. A script has been submitted to CBS but they are showing little interest. Q. I would like to build a house like the one in the show. Are floor plans available? A. Floor plans are not available. A scale drawing of the first floor, from Earl Hamner's production notebook, is available as part of the Memorabilia Package offered on this Web site. Q. 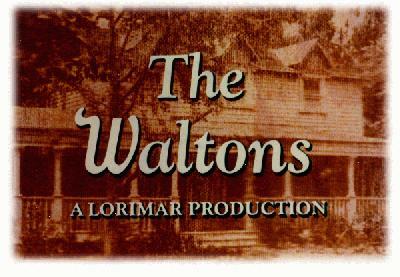 Is there a real Waltons Mountain somewhere? A. Yes, it is called Schuyler, VA and is located approximately 30 miles south of Charlottesville. Go south on Route 29 and turn east on Route 6 towards Scottsville. Follow the signs to Schuyler and the Museum. Click here for a map. I suggest you also contact the Nelson County Office of Tourism at www.nelsoncounty.com or email them at tournelson@aol.com for brochures, accomodations, sight-seeing, etc. Q. Am I wrong or is something messed up with the time-lines on the specials? A. If you punch in all the dates from the original series and try to compare them with the dates in the specials, you will, indeed, find that they do not make sense based on the characters' ages. The writers chose to place the family in storylines reflecting a certain national event regardless if that time line reflected correctly everone's age. That's Hollywood. Q. What happened to Mary Ellen's son, John Curtis, and Ben's children? A. The writers simply chose not to mention John Curtis. In one special it was mentioned that Virginia, Ben and Cindy's daughter, had died but no explanation has been given for their other missing child, Charles Benjamin. Q. Was Mary Ellen's husband, Curt, killed at Pearl Harbor? A. It seemed so but the writers brought him back to life living in Florida. He and Mary Ellen were eventually divorced. Q. You sign your emails as Ralph. Are you Ralph Waite? A. No, I am not Ralph Waite. Q. Where did the name "WALTON" come from? A. The story goes that Warner Brothers would not permit the name of "Spencer" to be used on "The Homecoming" since it had been used on "Spencers Mountain." Fiedler Cooke, the Director of "The Homecoming" chose the name "Walton" from the signer of the Declaration of Independence, George Walton.